Why can't I invite softgarden to an interview? 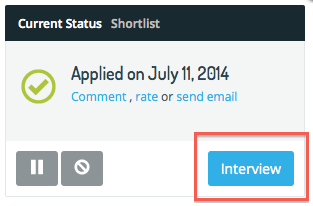 After you’ve shortlisted a candidate your next option will be to reject, pause or invite them to interview. 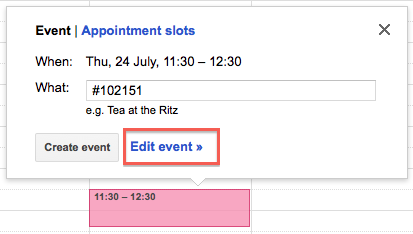 When you invite a candidate to interview, you also need to ‘invite’ the system so that your personal/work calendar and softgarden are on the same page. 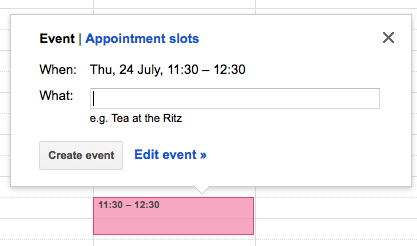 If this appears, it’s likely that an error occurred whilst you were adding the interview to your calendar. To troubleshoot the problem we’re going to go over the steps of inviting the softgarden system in more detail. Now the system will have received your invitation to the interview. 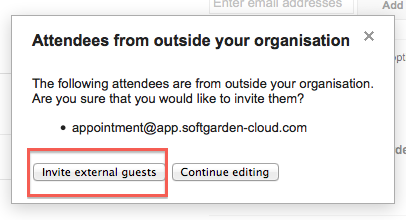 When you go back to softgarden and click ‘Refresh’ you should now be able to invite your applicant. Note, If you're still having trouble please follow the link to contact our support team or use our online chat box to contact one of us directly. Can I edit a job ad after it's published?